The Wild Pack Band: Monday Meatloaf Jam! 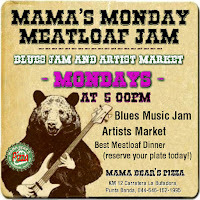 Monday Meatloaf Jam at Mama Bear's Pizza! Come one come all for a great time. It is always fun to JAM with new musicians, you never know where it is going to go. I guess it's like cooking...start with good fresh ingredients, then mix it up to favor, sometimes it's good and sometimes it's down right delicious. Music Jam and Art Exhibit starts at 5:00pm and will go until the doors are locked. 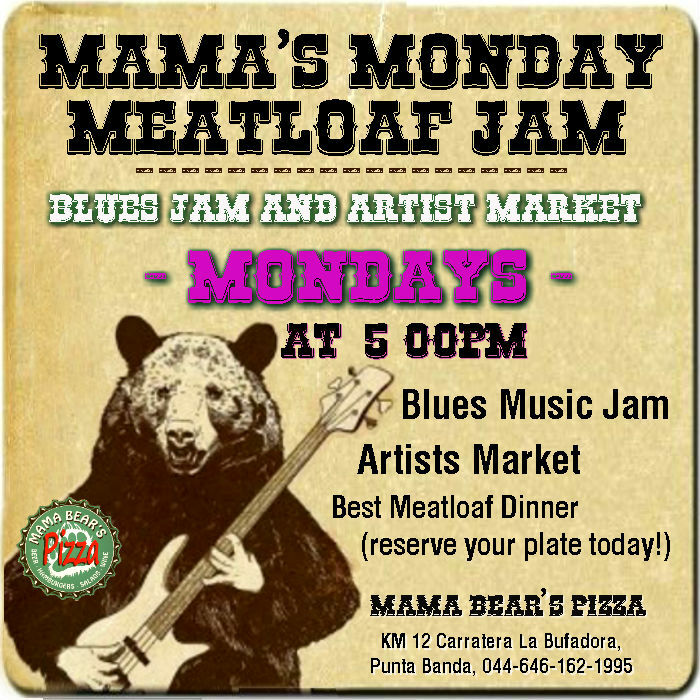 Remember Mama Bears Pizza, Punta Banda BC * Every Monday * 5PM - 8PM!